The NKT Maitreya Centre1– or better the charity trustees of Maitreya Buddhist Centre – allow to get some insights in the power politics within New Kadampa Traditon (NKT). The common politic within NKT is to remove everybody from power who is not totally in line with the NKT policies. For being removed from the position of a NKT Teacher it was sufficient in the past to recommend a book not written by Geshe Kelsang or to disagree with the protests against the Dalai Lama. I found the politics within NKT always arbitrary and undemocratic, and Geshe Kelsang as the autocrat par excellence. Usually those power games were rarely documented to the non-NKT world. But the charity trustees of Maitreya Buddhist Centre are courageous enough to reject the NKT power games. To help themselves they involved the Charity Commission. 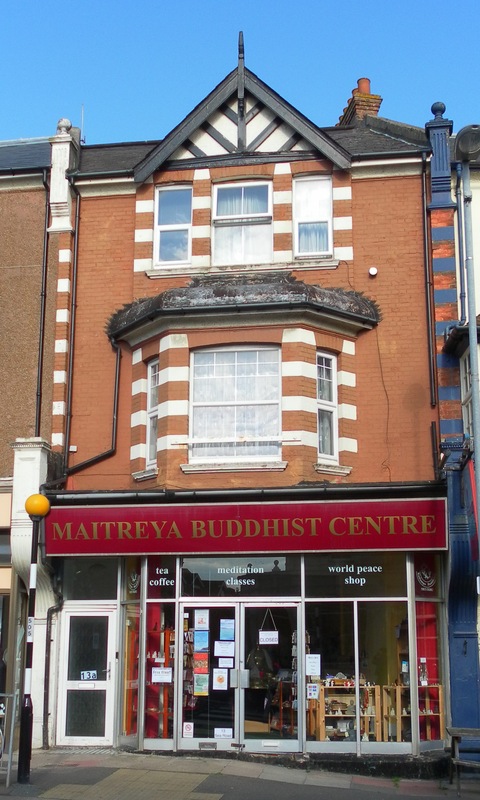 The NKT leadership plays all dirty tricks to get rid of the present charity trustees of Maitreya Buddhist Centre, which includes that John McBretney, the man who signed the “Open Letters to British Political Leaders“, falsely claimed to be the legally valid representative of the members of Maitreya Buddhist Centre. 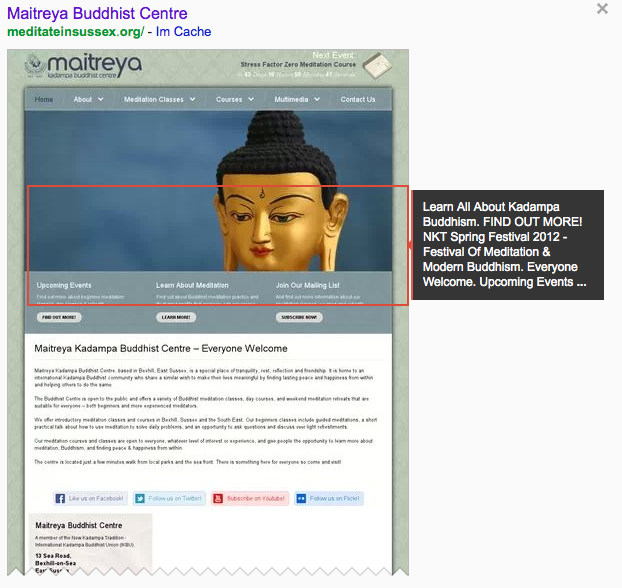 But since this didn’t work NKT now set up a fraudulent website, purporting to be the official site of Maitreya Buddhist Centre, using the charity’s registration number and using its registered address. If one looks into the history of NKT one can see that in more than twenty years of NKT’s existence none of the close students of Kelsang Gyatso or any NKT teacher has ever written a Dharma book which reflects or comments on the Dharma.2 I remember that my NKT teacher told me that Neil Elliott, the former appointed successor of Kelsang Gyatso, wrote a book on Karma but it has never been offered within NKT nor could I find a copy of it outside of NKT. I assumed there was some trouble behind the scene, and Neil Elliott was forced to withdraw the book or its publication. It appears that one of the many unwritten rules within NKT is that as long as Kelsang Gyatso is alive none of his followers can write a Dharma book.3 It would be a case of heresy to do so. A recent trial to publish a Dharma book “Where Happiness is” by Nick Gillespie—who was NKT Resident Teacher for decades, in Florida and in the UK—is presently suppressed by NKT with threat of legal actions and by putting a ban on him which ceases the connection of him with all NKT centres, especially the KMC New York City. I wonder why on the 21st July 2009 the Education Council had removed Nick Gillespie from the position of an NKT Resident Teacher already. The year could indicate that he was critical with the Anti Dalai Lama protests but actual I don’t know. Letter to Geshe-la (doc) by Andrew D.
To whom this letter had been sent might be known only to the NKT secretary. I doubt that the NKT secretary will give this information to you. But you could subscribe to the New Kadampa Survivors and ask them if they have an email list. (The letter had been posted there and someone I trust sent it to me.) If you like and if you have something worthwhile to be considered you could write a guest post concerning this case here at this blog too. Nobody has highlighted the fact that Gillespie was deeply involved in organizing the demos against tHH, or that he was the direct link between KG and the Delhi Shugden group who got away with the murder of Lobsang Gyatso in Dharamsala; he was the Western signatory to the DLs office threatening with demos Gillespie was therefore a MAJOR DS organiser, both of demos and campaigns. And they say that the idea that DS builds you up then casts you down is wrong-ask Old Nick. Funny how Gillespie is stilll in denial, refusing to slag the NKT off-battered wife syndrome or what?? Nick is a human being. Though some of his actions were wrong and can be stated as wrong (as well as his involvement in the protests), he also deserves our compassion and sympathy. As so many, including me, he fell prey to the NKT and the own inner dispositions, becoming finally an active part of this organisation, and of course there were a lot of mistakes like they happen even within organisations who have less destructive patterns. Everybody who dindn’t undergo this can be happy. Now, it appears to me, that Karma ripens, and some unpleasant things come back to him. I hope he can make the best out of it for himself and others. Good Luck, Nick! I am not a practitioner of this tantra. And even if I were, I would question myself if my harsh speech would be based really on love or compassion or if I use this rule to justify my harsh and uncontrolled speech. But what might be appropriate for a highly developed Bodhisattva or Tantric Yogi, who really have only the welfare of others and love in mind, is not necessarily appropriate for myself, as long as I am not on their level. And I am not on their level. So for instance also according to Asanga and the Bodhisattva Ethics, a Bodhisattva must commit the three negative actions of body and and the four negative actions of speech if this is for the benefit of others etc. but the oral commentary by Khensur Rinpoche Geshe Lobsang Tharchin explains, that such a Bodhisattva must have attained a level of realization where he or she is able to bring a dead tree to live again or to bring the consciousness of a just dead person back to his body and this person to live again. Do you have such a level? I don’t have it. So isn’t it dangerous to act on a level where one is not really? Of course those who are not Bodhisattvas but follow this direction–or Non-Buddhists in general–might have to apply with a good intention divisive or harsh speech, for instance if a mother wants to save her child from the influence of drug addicts and their bad habits. But difficulties arise if she is led by anger, attacking the child, or if the child is not receptive for such a type of speech and closes itself from the mother’s influence. Though such a mother still would claim she did it only based on love and out of goodness for the child’s welfare, in fact she acted out of anger or aggression and a lack of discriminating wisdom, that this approach doesn’t work fpr her child. * A good mother should learn from this otherwise she will increase her and the child’s suffering and frustration, starting an destructive communication cycle. If she doesn’t the child won’t accept her any more as a source of help and authority. * The Abidharmakosha discriminates between ‘causal motivation’ (the mother wanted to help initially) and ‘time motivation’ (she acted out of anger at the time of the action). BTW. I agree with this rule. I couldn’t see that you posted it here. So my answer was said related to another context. Its true, if one is always smiling to persons who act badly one is giving the wrong impression everything were ok, thereby indirectly supporting their bad conduct. Im sure you know that this vow is pervasive for those who have received Highest Yoga tantra initiations, and does not just apply to those who have received Kalachakra. Im equally sure that you have received such initiations-youve been around for too long not to have! Again, for those of us who hold the bodhisattva vows according to Asangas tradition, among the 46 branch vows we have a commitment to ‘break the 7 non-virtues of body and speech where love and compassion deem it necessary’ Since these vows are pervasive in the Tibetan traditions i am certain you hold them. To assert that one cannot keep such vows until one is a higher level bodhisattva is incorrect, simply because it is by keeping such vows that we achieve those higher levels. I can see where you are coming from Tenzin and admire you for your compassion and humility. But you shouldnt sell yourself short. You have many qualities and using the reason that you are a mere bug and so are incapable of maintaining such vows doesnt wash! If you have the vows, you have to keep them! PS I am the greatest vow breaker in the history of the Dharma-but I keep going. Don’t ask me how and why, but David Kay’s research »TIBETAN AND ZEN BUDDHISM IN BRITAIN Transplantation, development and adaptation« is available as a PDF: http://elibrary.ibc.ac.th/files/private/Tibetan%20and%20Zen%20Buddhism%20in%20Britain%20Transplantation,%20Development%20and%20Adaptation.pdf I found it via Google Scholar. I don’t know how many people have read the document submitted in support of the opposition to the proposed windfarm near Tharpaland, but it makes interesting reading. Dr Alexa Hepburn Phd has made a statement about the study in order to give academic authority. There is some dispute over the words Kelsang Gyatso used and the text which appeared at the bottom of the screen in a promotional video recently published NKT website however, the text ran as follows. ‘The middle way is very difficult to find. We have found it so we must understand this and must learn and train until we gain deep experience of it and then you will enjoy … and every kind of problem will automatically cease’. If the above were true then the ‘uniquely qualified’ meditators would have no problems as ‘every kind of problem will automatically cease’. A comment is made about the honesty of the subjects as they, ‘have all taken vows for life to abstain from lying and only speak the truth’, not something to fill me with confidence after various episodes, of which some of us are aware. Dr Alexa Hepburn will be aware that many factors influence the actions of individuals as she is a Social Psychologist. Socialization describes how people are inducted into groups, accepting norms and behaviours relative to that group. Studies have shown that attitudes are difficult to describe as they are situation specific. In other words, will your answer to a question depend on who is listening? Will your answer be strategic if something of great importance to you will be at risk if the answer is ‘wrong’? The claim that, ‘It is therefore unlikely that conscious subject bias is present to any great extent in the results’ is not one that can be substantiated. With all this in mind is it any wonder there were reports of mental confusion? Is it likely that the subjects have no knowledge of the debate concerning wind farms? The title of this study is The Effects of Windfarms on Meditative Retreaters. …‘It is important to make clear that we are not claiming to account for the causes of these effects’. If not then what is the purpose of the research? If they cannot account for the causes then the effects could have arisen from an infinite number of conditions. …‘ The distance required to ensure that meditative retreaters were not adversely affected by a windfarm of the size and density of the one proposed in the Forest of Ae can be reliably estimated to be much greater than 10 km. The wind farm at Marwitz, the new home of Tharpaland is well within this radius but is not of the same size. Also, there is a 23 turbine wind farm 6.9 kilometres from the Ganden Centre in Halifax but there are no reports of health problems from that Centre.